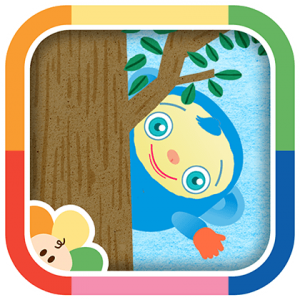 The game of Peekaboo comes to life in this app! Meet Peekaboo, the lovable blue fellow from the hit TV series on BabyFirst. Help your baby or toddler guess where Peekaboo is hiding – behind his tent, a rock or other places on his camping journey. Be sure to check out the book companion called Peekaboo Goes Camping Book!